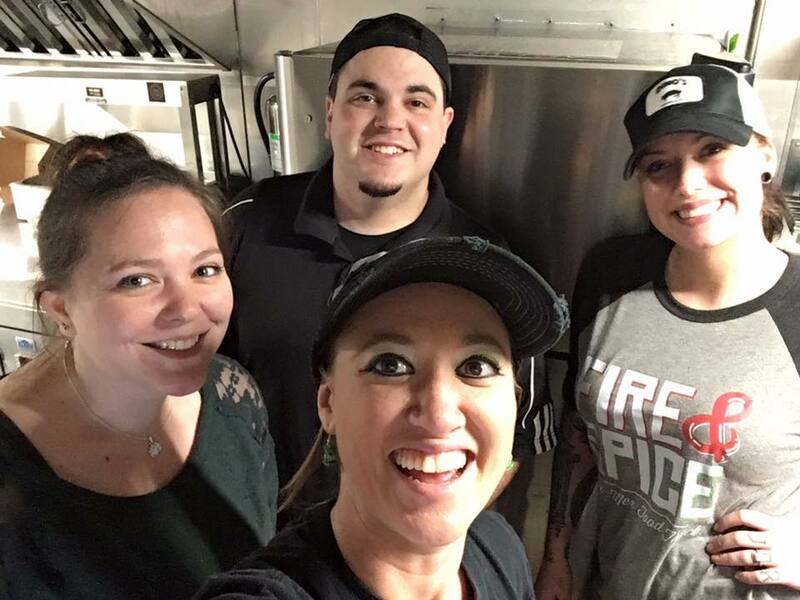 Started in 2014 by Stan Stinson and Tina Ford of Earth & Stone Wood Fired Pizza. 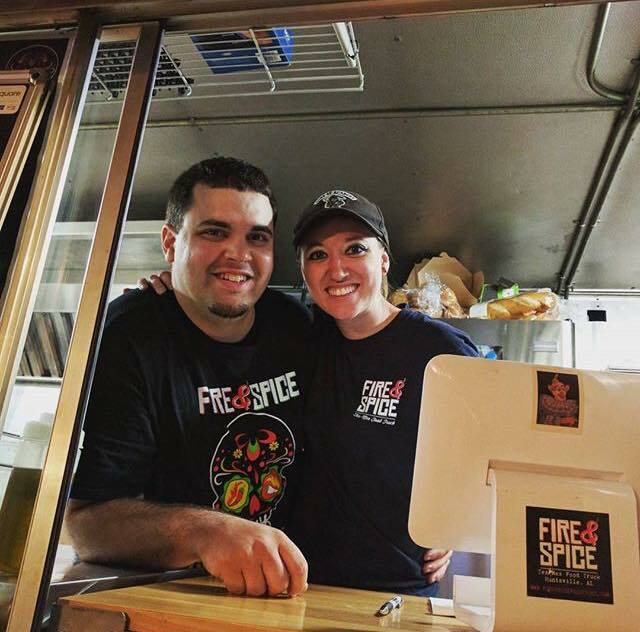 Fire & Spice was a new food truck in the Huntsville Area. The Concept at first bounced from Burgers to Pasta, until finally settling with Tacos. In April 2015, the keys to the truck were handed to Husband and Wife, Thomas & LeAndra Poux, to help run the business full time. The Concept was then changed to Tex-Mex Cuisine which includes Tacos, Quesadillas, Nachos, and other Tex-Mex Specialties. In November 2015 the truck was fully sold to the Husband and Wife team to run as their own. "Stan & Tina will always have a special place in our heart for giving us the opportunity to do this."